Desirable: 2 years experience of working in a Hospital. Note 1. Knowledge of Konkani is essential and Knowledge of Marathi is desirable. 2. The selected candidate will be stationed in different parts of the State. 3. The selected candidate shall have no claim in future for absorption in any regular job in State Govt. Service. 4. This is National Health Programme and the jobs created will not be regularized. 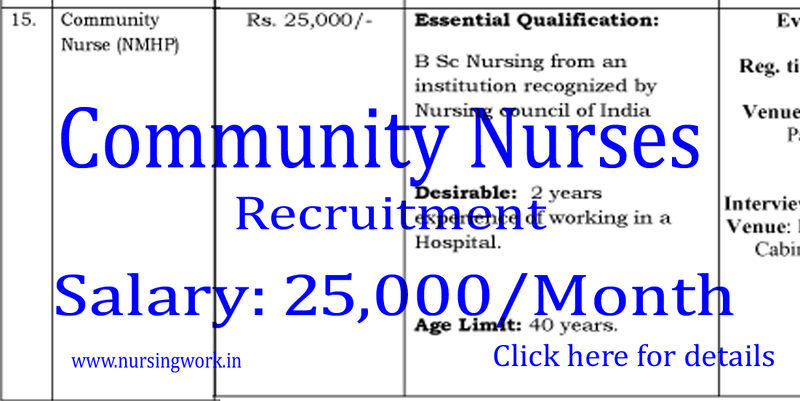 The candidates fulfilling the above requirements for the post are requested to attend the walk–inInterview on the date, time and venue stated above, at Directorate of Health Services, Panaji – Goa along with their Bio-data with Photo and original copies of their certificates in proof of the Educational qualification, Birth, Residence (15 years) and Experience if any for verification and attested copies for submission. Duly attested by the Gazetted Officer/Notary/self attested stating that “The certificate is True copy of the original”. Candidates reporting after the end of registration time will not be allowed to attend the interview.